Welcome to Bunny.nu » Blog Archive » Trick or Treat! 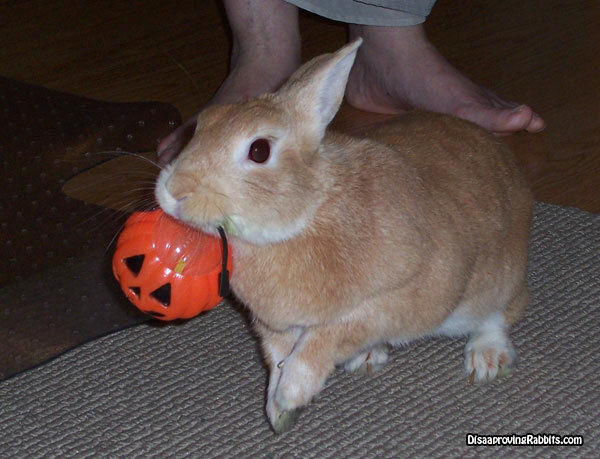 This entry was posted on Friday, October 31st, 2014 at 9:26 am	and is filed under Bunnies. You can follow any responses to this entry through the RSS 2.0 feed. You can leave a response, or trackback from your own site. A Little late – but I have to say Jiro is soooo cute! Who could resist him? He is such a beautiful Halloween bunny!